You may have arrived from Yapha's blog where she highlighted my other favorite retiring In Color, Peekaboo Peach, in some gorgeous color combinations and fantastic cards. I chose to use Sweet Sugarplum which is one of my favorite colors from the 2016-2018 In Colors. I will really miss it in the coming year because it is so soft and soothing. I went "Old School" and rolled the corner of this main image layer, and I think it added interest to a simple card. I'll also miss this hostess set, Tranquil Tulips. I've enjoyed using it with a variety of techniques and color combinations. I also love the Petal Garden designer series paper stack, and Sweet Sugarplum figures prominently in this floral infusion. 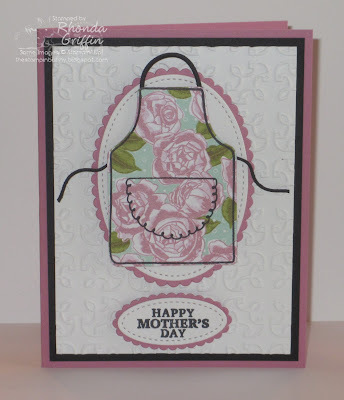 For this Mother's Day card, I used the Apron of Love set with Basic Black accents for a sweet little card. 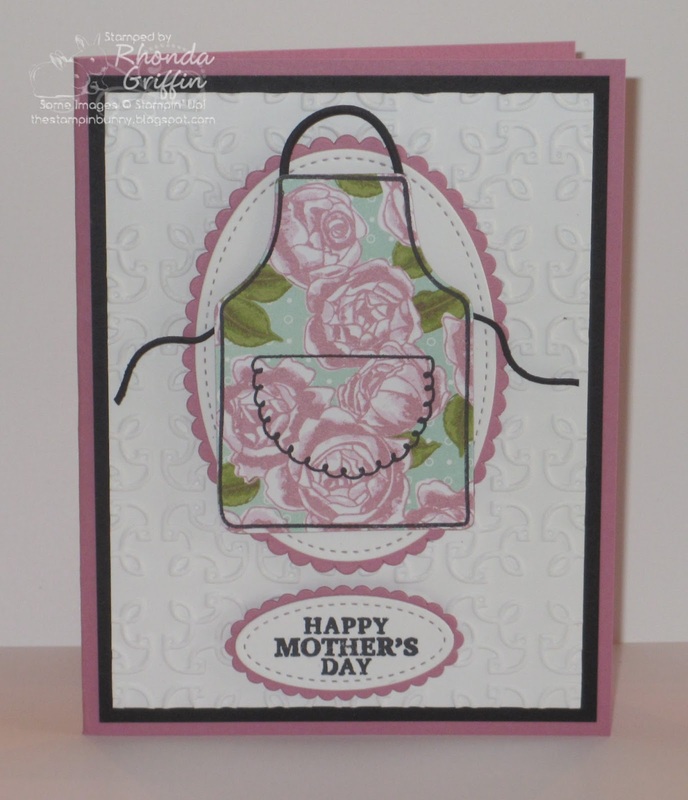 Next, we have Holly's cutie pie Bear card with Emerald Envy on her Rubber Redneck Blog. It is so crisp,modern and fun. I love to stamp, and I have a supportive husband and two sweet daughters. I've been a Stampin' Up! demonstrator since July 2006, and what "addicted" me to stamping was my love for Stamping Challenges. 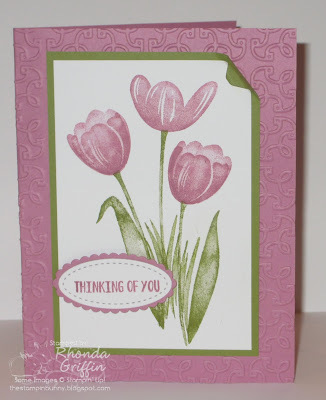 My favorite Stampin' Up! event is having class on the first Thursday of each month, and I have a Stamp A Stack, scrapbooking class or Stamp Camp as requested. I'd be happy to create a card night for you and your friends as well! Hello stampin' friends! 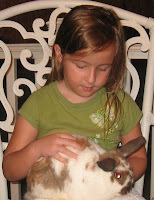 I hope you'll find some inspiration here on my Stampin' Bunny Blog. 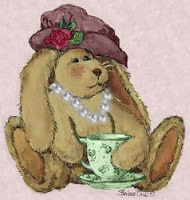 Settle in, and let me pour a cup of tea for you while we make sweet, handmade greeting cards and other papercrafting projects! Need a color combo for your next card? 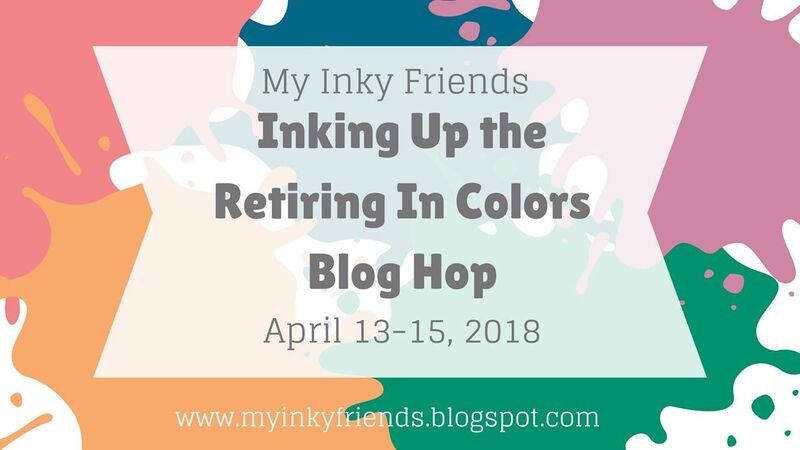 The content of my blog is my responsibility as an independent Stampin' Up! demonstrator. My classes and services are not endorsed by Stampin' Up! any more or less than any other demonstrator's classes and services nor are they a product available through Stampin' Up! I'm required to post this to my blog.